Fraudster : The Story of Corporate India’s Black Sheep. 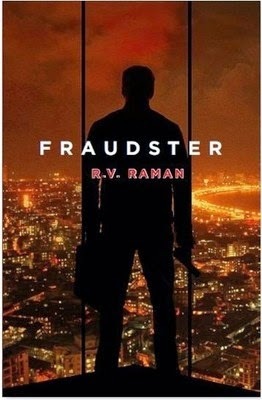 Fraudster is a suspense thriller from R. V. Raman set in the world of corporate finance. Some people will do anything to silence anyone they think are obstacles. They won’t stop at anything, not even murder. In this thrilling novel, a young banker deposes before a commission investigating large-scale financial fraud. She is found dead the very next day. Meanwhile, a leader of corporate India falls to his death from his South Bombay flat. In a multinational accounting firm, the high-security server room is hacked. The hackers want more than just company secrets. Illegal finance, high-profile crimes and brutal manipulation combine in this tale of greed, treachery and corruption amidst corporate India’s worst members. R. V. Raman is an Indian writer and the former head of KPMG's Consulting Practice and the co-head of their Risk Advisory Services. He was also partnered with A.T. Kearney and Arthur Andersen, and boasts an experience of over three decades and covering four continents. Currently a faculty member at the Indian Institute of Management, Trichy, he teaches Business Strategy. He is based in Chennai and this is his first book. I am spellbound and the book is beyond awesome. The story is set under the backdrop of corporate frauds and it is brilliantly described. It is jet packed and several unexpected incidents will keep you hooked to the book like never before. The cover page portrays the silhouette of a man and it fits perfectly with the plot. So does the simple title. The book blurb is crisp and draws potential readers to it. The font, size and paragraph spacing are pleasant. The narrative is lucid and the language is simple. The suspense is brilliantly built. There are some event or the other that continues to happen which leave you hooked to the book. What I loved about the book is that it is devoid of masala and lusty elements. It is only about frauds and how crookedly people can think. It is also about how the greed for money can drive people crazy and make them morally blind. All the main characters are nicely established. I have to mention Varsha’s character here. It is free from clichés. She is quick-witted and brave. She is a very good observer; and very caring. Inspector Ranade is such a friendly policeman that we wish all the cops were like him. Further, the helplessness of Kamini, ever-mysterious Subbu and over-enthusiastic Ashwin remain in our memories long after the book is completed. The end is unexpected and awes you. In fact, the person I guessed was wrong and I didn’t suspect the real fraudster at all! Further, the innumerous corporate scams and frauds that we come across on a day-to-day basis makes this book believable and relatable. The plot is very realistic and highly probable. Such practicality makes this book a perfect thriller. You will not regret the few hours spent! Being a Chartered Accountant myself, I was able to relate to the problems they faced and their work culture. It felt good. Looking forward to read more such books, author! wow! after reading this review I think I should not miss on this one! wow...5/5..that is the first time I have read a blogger giving full marks to a book. This has to be that good! Full 5?? Womaigad... goes into my list as well..